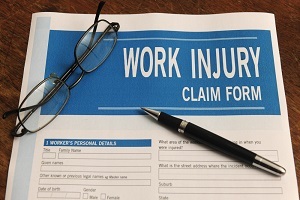 The injuries sustained in on-the-job accidents can be painful both physically and financially. Injured workers may face unexpected debt while they are unable to work as they wait for their injuries to heal. 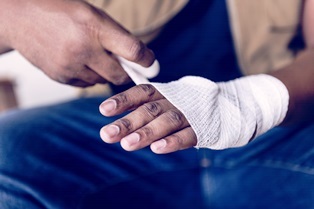 Fortunately, in Georgia, injured employees are eligible for workers' compensation benefits, which includes temporary disability payments and payment of related medical expenses. The more serious an injury, the more likely it is to require continuing medical treatment and significant future time off from work. The greater these anticipated costs, the more valuable the claim. 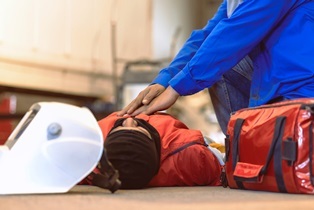 As a result, workers with claims involving severe or catastrophic injuries tend to receive larger settlements than employees with relatively minor injuries. Under Georgia's Workers' Compensation Law, injured employees are entitled to collect temporary total disability benefits equaling two-thirds of their average weekly pay (before taxes are deducted) each week for as long as their injuries prevent them from returning to work. The injured worker can receive these benefits for up to 400 weeks, or for the rest of their life if their claim has been deemed catastrophic. Again, the longer you and the insurer believe you will be entitled to continuing income benefits, the more the case will be worth in settlement. An injured worker's average weekly wage is calculated based on the employee's pay for the previous 13 weeks. Individuals employed fewer than 13 weeks are compensated based on the average weekly wage of a similar employee who works in the same position for the employer as the injured worker. The maximum benefit rate is set by the Georgia legislature. Currently, the maximum benefit payable to injured workers in Georgia is $575 per week. If you were injured on the job, you may have questions about the value of your case or the workers' compensation benefits to which you're entitled. The knowledgeable workers' compensation lawyers at Rechtman & Spevak have extensive experience helping injured workers. Our skilled legal team is happy to answer your questions and address your concerns to ensure you understand your rights, as well as all the options available to you. Contact our Atlanta law office today to schedule an appointment for a free initial case consultation. What's the process for filing a workers' compensation claim in Georgia? Victims of workplace accidents often face medical bills they can't afford and time away from work that further strains financial resources. But workers injured during the regular scope of employment are usually eligible for benefits through the state workers' compensation system, such as medical benefits, rehabilitation support, and supplemental income. In Georgia, the process for filing a workers' compensation claim isn't difficult. However, employers and their workers' compensation insurance carriers don't always treat injured individuals or their claims fairly. Having an experienced workers' compensation attorney by their side can help job accident victims level the playing field and receive the benefits they deserve. The first step of the process is to file a completed Form WC-14 with the Georgia State Board of Workers' Compensation and send a copy to the employer and its workers' compensation insurance carrier. An attorney can file this claim electronically. An injured worker and his or her attorney can request a hearing if the employer and its insurer fail to provide the appropriate benefits. Then, both parties move through the discovery process, during which each side can request documents, and serve one another with written questions called interrogatories. The worker may be asked to provide a deposition, also known as an oral testimony, which typically takes place in the attorney's office. In cases where there's a dispute regarding the injured workers' medical treatment, he or she may be asked complete an independent medical examination. This request may be issued by the insurer to get another opinion about the injuries, as well as the victim's attorney to bolster the case. Ultimately, the case is heard before an administrative law judge. However, most workers' compensation cases are settled long before they reach a courtroom. If you were injured on the job, the knowledgeable Georgia workers' compensation attorneys with Rechtman & Spevak can help ensure you receive the benefits you need and deserve. To schedule a free consultation right away to discuss your legal options, use the convenient contact information below. One question often asked by accident and injury victims concerns how long a case will take. Accident victims may be in the midst of lengthy medical treatment and unable to work, leaving them exhausted both physically and financially. This can make them hesitant to take on a long legal battle. While the experienced lawyers at Rechtman & Spevak understand that frustration, it can be difficult to pinpoint exactly how long a case will take to resolve. Every legal case is unique, and each lawsuit will depend on dozens of factors. Cases can be resolved in as little as a few months, or they may take much longer to conclude. Severity and nature of the injuries. More severe injuries typically result in more complicated cases. Some injuries develop into further health problems. It may be beneficial for the victim to wait until the full extent of the injury can be determined before agreeing to a settlement. Conditions of the accident. How and why did the accident occur? If fault is clear, the case will likely move quickly. If there is a dispute determining who is at fault, or there are multiple parties involved, the case may take longer. Parties involved. Some parties are more likely than others to dispute responsibility for the accident or injury. Large corporations and insurance companies may be less likely to offer a fair settlement quickly. They may refuse to offer a settlement at all. The failure of pre-trial negotiations. If the parties involved cannot reach an agreement suitable to both sides, the case may have to go to court. This will extend the lawsuit, as it will then also be at the mercy of the court’s schedule. While it is difficult to say just how long any case will take, a skilled injury attorney can examine the details of your case and offer a more educated estimate. If you’ve been hurt in an accident, the knowledgeable attorneys at Rechtman & Spevak can help you learn more about your rights and understand what to expect moving forward. Chat live with a member of our team today to get started. How much does it cost to hire a workers' compensation lawyer in Georgia? After a job-related accident, an individual may be seriously injured; temporarily—or even permanently—unable to work; and face an onslaught of unexpected medical debt. Fortunately, in Georgia, employees injured in workplace accidents or within the scope of their regular employment are often entitled to workers' compensation benefits. 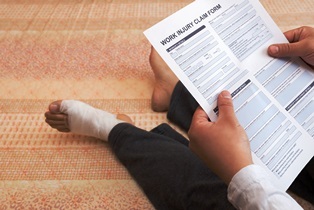 The workers' compensation system is an accident insurance program paid for by employers. The system's benefits cover authorized medical expenses, lost wages, and temporary disability payments for individuals injured on the job. While workers' compensation claimants aren't required to prove negligence in order to collect benefits, this doesn't mean they don't need an attorney. Some workplace accident victims may be hesitant to hire a workers' compensation lawyer out of concern fees are beyond their financial means. What Do Workers Comp Lawyers Charge? Financial woes should never prevent a victim from fighting for the justice and the benefits they deserve. 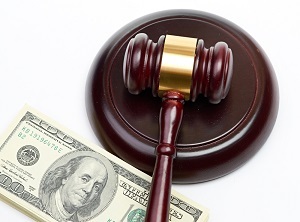 That's why many workers' compensation attorneys operate on a contingency fee basis. This means they provide victims with legal services for little or no upfront costs, and instead take their fees out of the settlement the victim receives when their cases are resolved. In Georgia, workers' compensation attorneys are paid up to 25 percent of a successful settlement—this amount is regulated by state law. Though some accident victims may be tempted to handle their own cases in an effort to save money, it can actually end up costing them in the long run. Multiple studies show that injured workers represented by experienced workers' compensation attorneys tend to receive larger settlements than those who choose to represent themselves. On-the-job accidents and injuries can threaten to cause a lot of upheaval in your life, but an experienced workers' compensation lawyer can help you understand your legal rights and options, look out for your interests, and maximize your claim. To request a free consultation, contact Rechtman & Spevak today using the phone numbers on this page, or complete the brief online contact form. Why should I hire Rechtman & Spevak as opposed to any other firm for my injury claim? 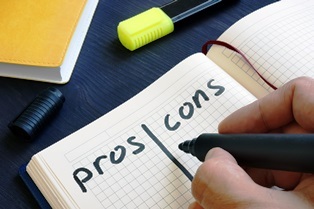 There are two main reasons why you should choose Rechtman & Spevak. First, the attorneys have over 50 years combined experience handling workers’ compensation and personal injury claims. This experience allows us to provide you the best possible representation, and will result in you getting the maximum financial recovery on your claim. Secondly, the personal attention that you will receive from your attorney is greater than you would receive from most firms that you see advertising on television. Your attorney will personally meet with you at your initial consultation, which is not what typically happens when you hire an injury attorney. Many firms will have you meet with an investigator or intake specialist, as opposed to the attorney that will actually be handling your case. In addition, the customer service experience that you will receive after hiring us will be second to none. We will make sure that you are well informed and comfortable throughout the pendency of your case.